Former cricketer Aakash Chopra has come in defence of Indian skipper Virat Kohli after the Delhi batsman was widely slammed by fans for his “leave India” remark for a cricket enthusiast. Speaking to India Today, Chopra said he was “surprised” by Kohli’s remark and said the 30-year-old captain “could have done better”. 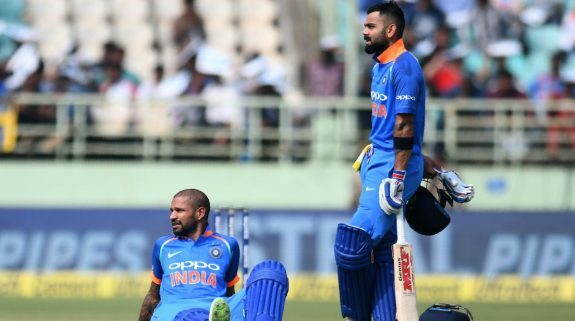 Virat Kohli has been in the eye of a storm after he suggested a cricket fan to leave India if he did not like how the national team cricketers performed. “I don’t think this is what Virat Kohli is or this is what he actually thinks. In the last 18-24 months we have seen a lot of maturity with regard to how he speaks, what he actually portrays in the public domain…in all the post match interviews he’s someone who’s is not happy to take credit himself. But he’s happy to be very, very modest and humble,” Aakash Chopra said. Chopra also said that what Virat said was “disappointing” and “unacceptable”. “It does surprise me. What he has said is something, yes, disappointing, unacceptable but then freedom of expression allows us to say what we want and I also feel social media at times gets the worst out of us. He was trying to address a mean tweet perhaps he had gone through a multiple mean tweets before reacting or choosing to react to one…he could have done better. When he’ll look back at it, I don’t think he’ll really be proud of what he said,” Chopra added. On his 30th birthday, Virat Kohli launched his mobile app on which the cricketer was responding to a mean Tweet from a fan. “Over-rated batsman and personally I see nothing special in his batting. I enjoy watching English and Australian batsmen more than these Indians,” Kohli read out the tweet.